The York black cast iron plates add extra weight to your home workouts and incorporate a 1” (2.54cm) hole that makes them compatible with standard bars. These cast iron plates weigh 15kg (33lbs) each and are manufactured to the highest standards. The weight plates are supplied as a pair. for submitting product information about York 2 x 15kg Black Cast Iron 1Inch Plates We aim to answer all questions within 2-3 days. for submitting product information about York 2 x 15kg Black Cast Iron 1Inch Plates. We aim to answer all questions within 2-3 days. If you provided your name and email address, we will email you as soon as the answer is published. 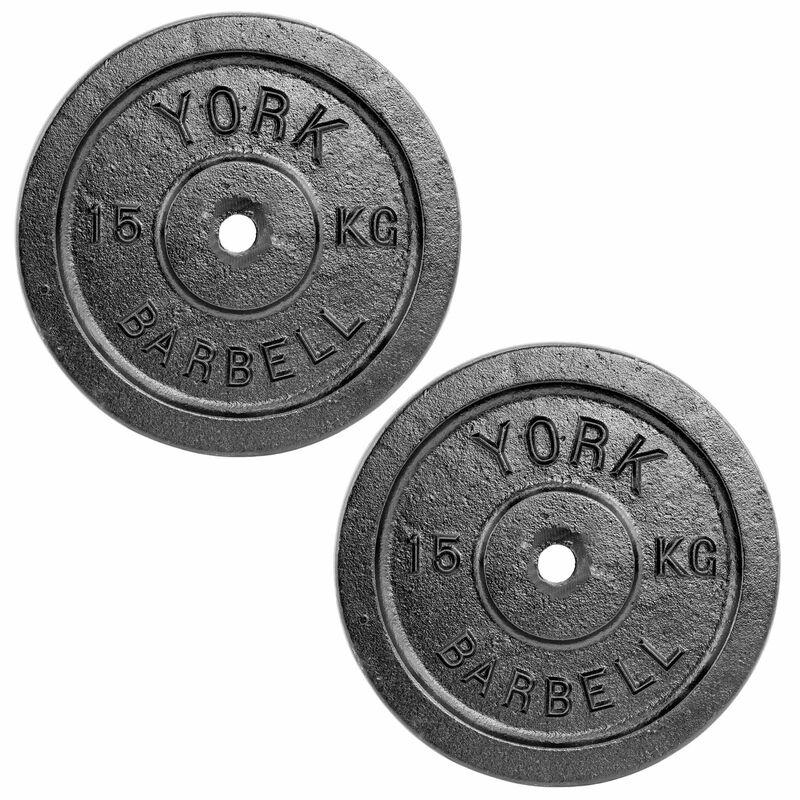 What is the thickness of the york 15kg black cast iron 1inch plates? These plates are 1inch thick. for submitting product review about York 2 x 15kg Black Cast Iron 1Inch Plates.